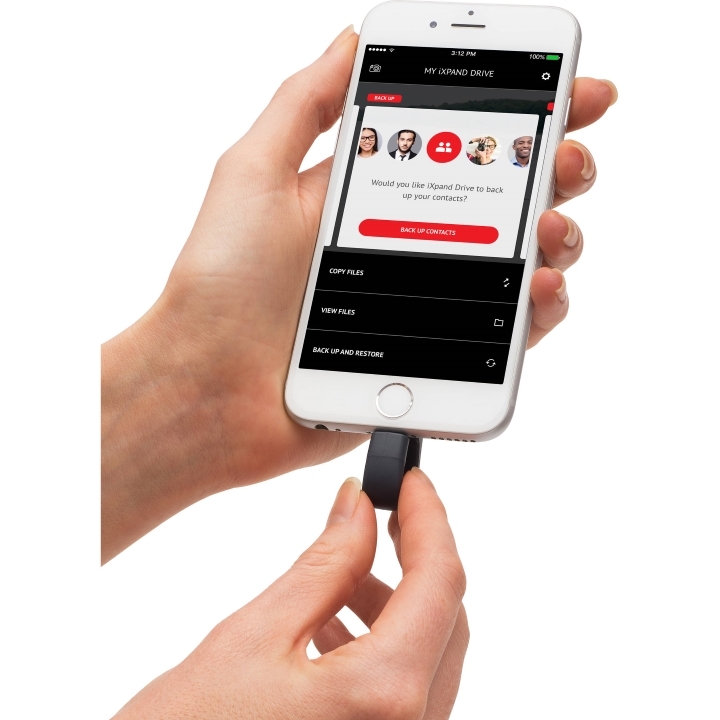 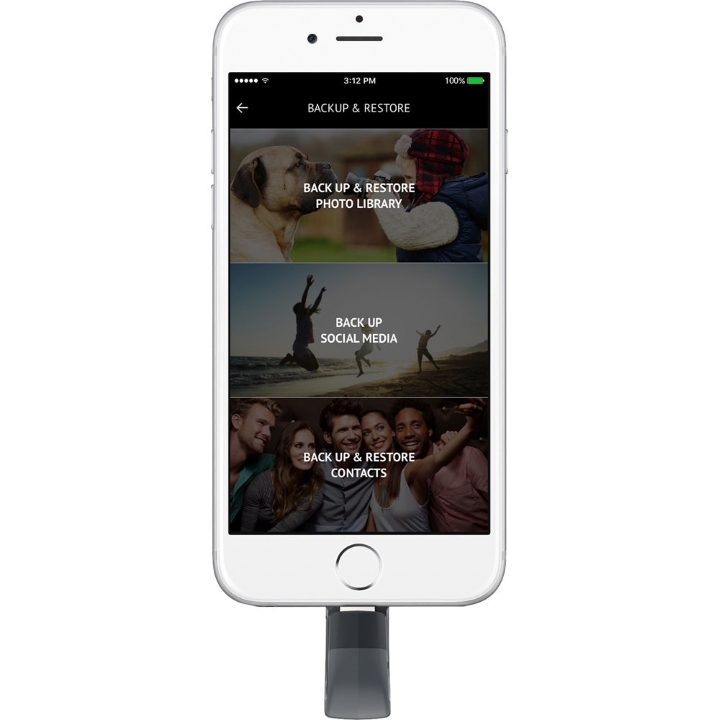 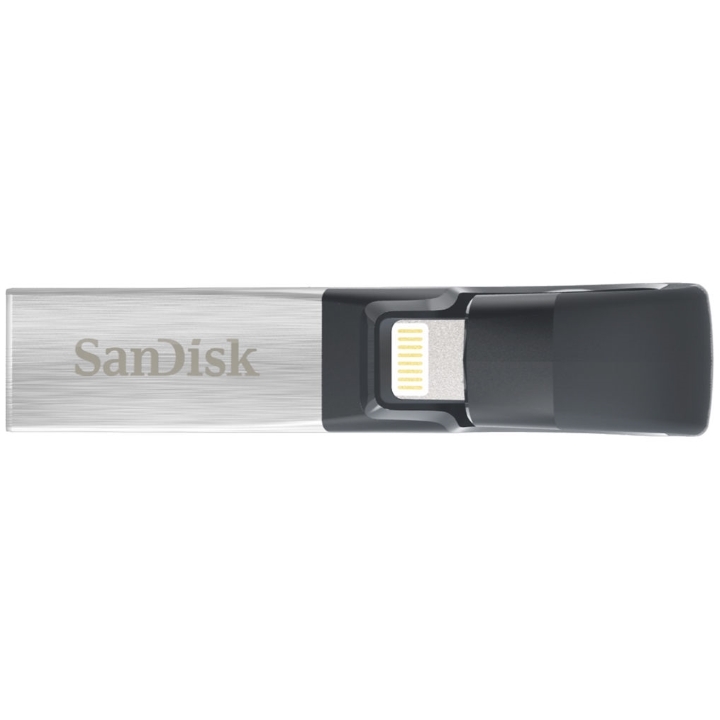 With the 16GB / 32GB / 64GB / 128GB / 256GB iXpand Flash Drive from SanDisk you can easily store and manage your photos and videos right from your iOS device using the iXpand Drive app. 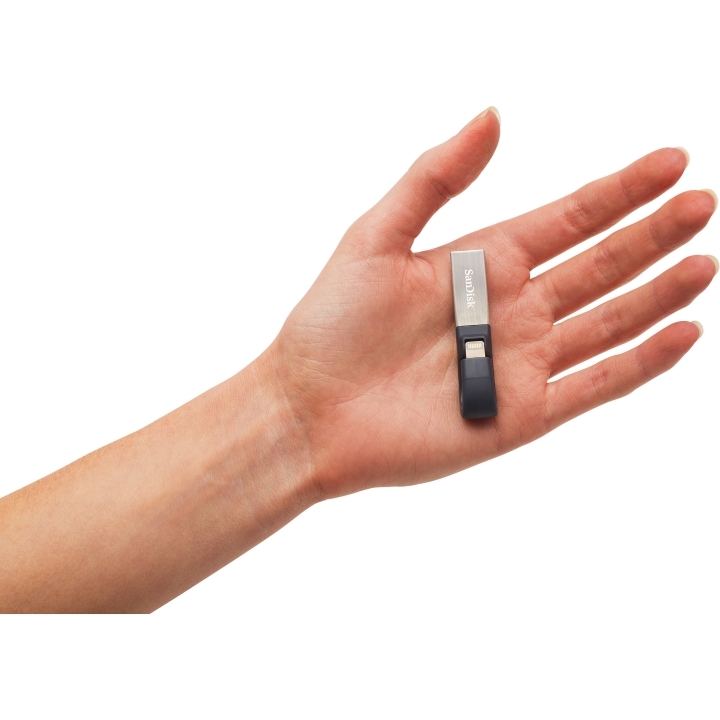 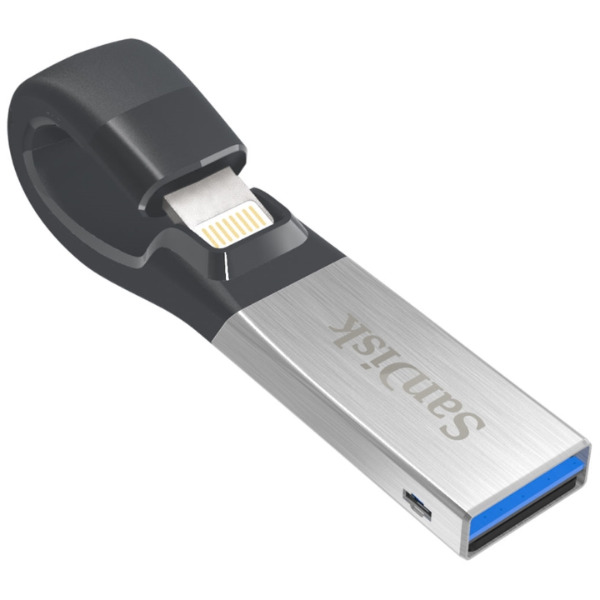 This flash drive works with the Lightning connector equipped iPhone 5, iPhone 5c, iPhone 5s, iPhone 6, iPhone 6 Plus, iPhone 6s, iPhone 6s Plus, iPad Air, iPad mini, iPad mini 4, iPad Pro, iPad with Retina display, and the 5th Generation iPod or newer running iOS 8.2 or higher. 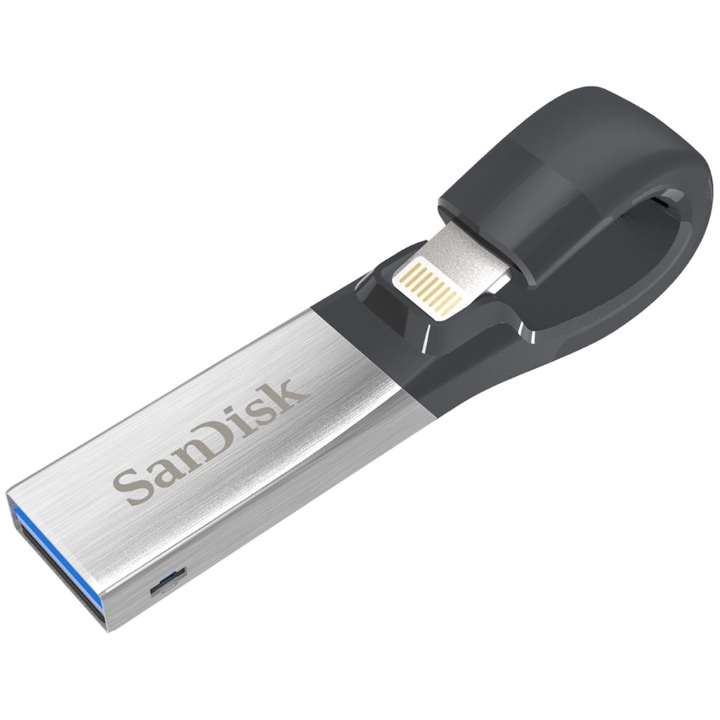 Stored files can then be transferred to either Windows or Mac based computers and devices running the Chrome OS.